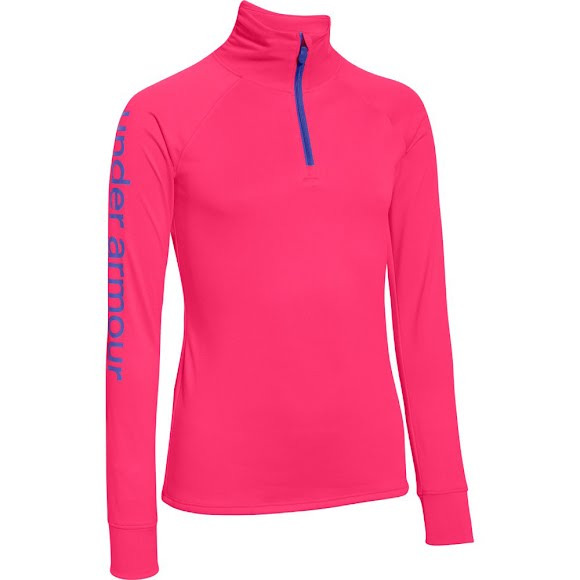 Ultimate style meets great performance with the Girl's Youth Tech 1/4 Zip from Under Armour. This shirt features UA Tech fabric that has a softer, more natural feel for incredible all-day comfort. Ultimate style meets great performance with the Girl&apos;s Youth Tech 1/4 Zip from Under Armour . This shirt features UA Tech fabric that has a softer, more natural feel for incredible all-day comfort.